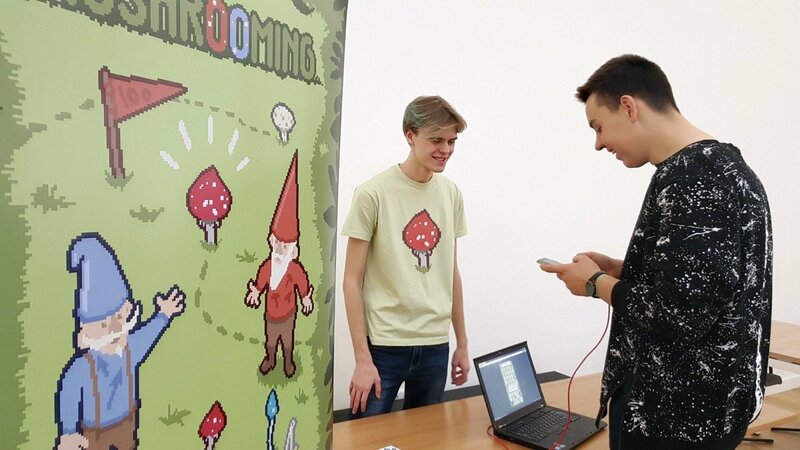 During the Hacker Games hackathon that took place in Vilnius last December, the team that created the Mushrooming game were declared the winners in the gaming league. This autumn, the game was nominated as one of the best games in the mobile application category. 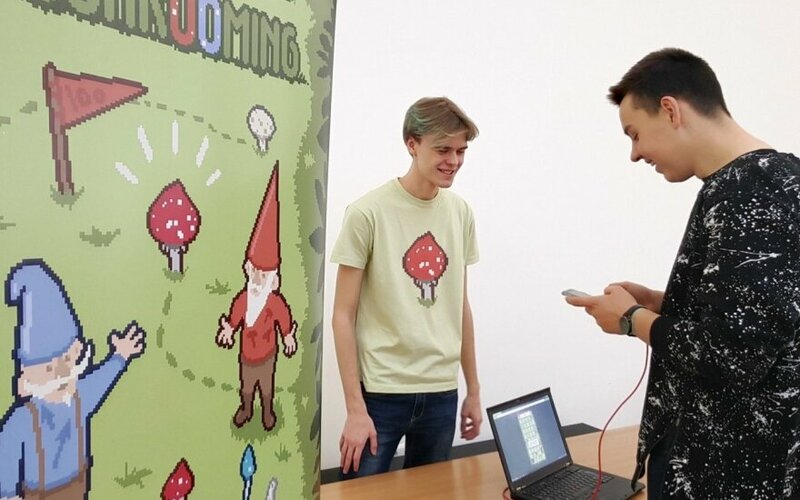 The Lithuanians managed to stand out in the highly competitive gaming industry by implementing an unexpected and ingenious solution, a press release from Startup Lithuania states. One of the best games in Lithuania was created in 2017 during a 48-hour Hacker Games hackathon. According to Povilas Jankūnas, the person behind Mushrooming, the idea to develop an arcade-type game appropriately came up in autumn, but it was clear from the very beginning of development that it would be designed for the international market. "It's almost impossible to focus solely on the Lithuanian market in the gaming industry. In general, the gaming industry is a global market due to the accessibility of e-shops around the world. It is the electronic sales market and easy access to software that made it possible to develop for a very large number of people, all of whom want their own piece of the pie. We took advantage of these opportunities and developed a game that any citizen of the world can play," says Mr Jankūnas. The game developer is convinced that in creating a game, it is crucial to come up with an innovative idea that is relevant to everyone, and to be closer to the target user – this approach is critical in order to avoid getting lost in the huge field of information in the expanses of the Internet. Mr Jankūnas encourages game developers and company managers to take into account the motivation of their employees, which is one of the strongest guarantors that predict the true success of the game being developed. However, even though the gaming industry is attracting developers more than ever, Mr Jankūnas has also noticed a considerable gap in public opinion and engagement with regard to the development of such products. "One of the industry's problems is that the prevailing opinion in the older part of Lithuanian society is that only children play games, and that developing them is not a serious occupation. The artistic and economic potential of the gaming media is hard to grasp. This kind of stubbornness and hard-headedness on the part of parents often scares young people away from this industry," says the developer of his experience. The fact that game developers are a very important part of the start-up ecosystem and that game development generates high income not only for their developers, but for the entire country as well, is confirmed by Roberta Rudokienė, head of Enterprise Lithuania's start-up ecosystem development department, as well as Šarūnas Ledas, chairman of the board of the Lithuanian Game Developers Association. "Of the more than 500 start-ups currently in our database, 50 are game development companies. It's great that we have very successful companies (start-ups) in this field in Lithuania, such as Nordcurrent and GameInsight, which create not only jobs, but also a clear added value for our country. Seeing the potential of this industry, we are trying to promote the growth and development of companies in this field even more – during the Hacker Games hackathon that has already been organised for many years, we have a separate category for game development and contention. In this way, we are encouraging more innovative people to get involved in this field, and trying to show that game development can be a real business that generates revenue. We also appreciate the fact that successful game developers (the already mentioned GameInsight) are also actively contributing to the development and promotion of the gaming industry in Lithuania by sharing their knowledge and experience at hackathon mentoring sessions and giving the winners the opportunity to go to specialised gaming industry conferences abroad," says Ms Rudokienė about the growing gaming industry. Confirming this, Lithuanian Game Developers Association Chairman of the Board Šarūnas Ledas says that the Lithuanian gaming industry is growing rapidly, and the income generated by the employees in this field is evidence alone. According to this year's data, the income generated by one person in the gaming industry is as much as EUR 200,000. "From 2013 to 2017, the income of companies operating in the Lithuanian gaming industry has increased more than tenfold and generated a turnover of approximately EUR 100 million last year alone. For 2018, we expect this figure to increase to EUR 120 million," says Mr Ledas. Even though the Lithuanian gaming industry is more likely to show trends in the development of existing businesses than the registration of new ones, it is estimated that there are currently 50 gaming industry companies registered in the country which generate 0.19 per cent of the Lithuanian GDP. The Hacker Games hackathon that is organised by Startup Lithuania, Enterprise Lithuania's start-up ecosystem development subdivision, will take place in Vilnius on 30 November–2 December. The event is expected to draw in over 100 participants who will work together with qualified mentors to create product or service prototypes. Hackathons usually attract developers aged 16–40: programmers, graphic designers, business idea developers and other young people who want to test themselves.